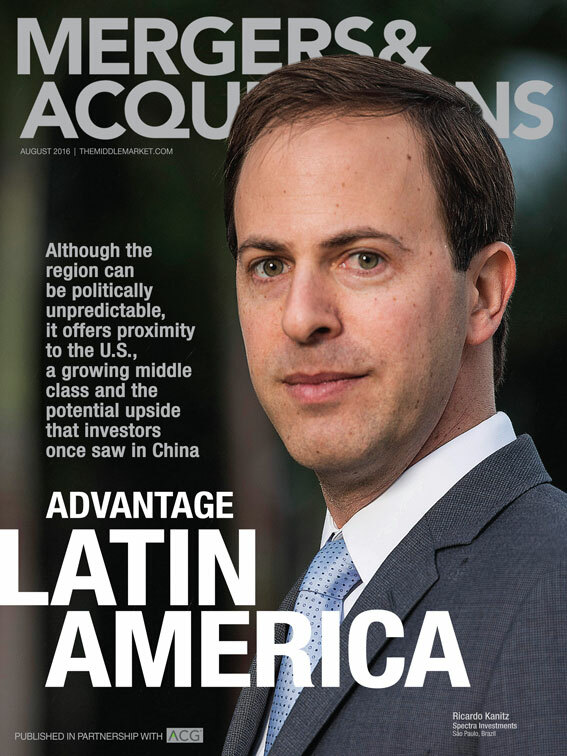 I've written several times in the last year about trends in LatAm markets that mean those markets may be particularly attractive to US companies seeking growth and diversification from a US economy that's statistically past due for a recession. And I recently participated as a panelist in a discussion at the Department of Commerce's Discover Global Markets - The Americas event in Fort Lauderdale. There's a lot of intriguing opportunity. The Americas are more politically stable now than most other areas of the world and in many cases, LatAm markets like Argentina & Brazil, they've had so much bad news that they're due for a positive turn. Middle Market Private Equity - Leading indicator? The various deal professionals interviewed offered consistent observations. Mexico is hot. Argentina is turning the corner. Brazil is increasingly attractive, and Chile has some interesting opportunities. What's this mean for your manufacturing business? You know those frustrations you've had developing significant Latin American business? The long-term relationships required; the different pace of business; all the factors that make it a different environment than the US? Who says you have to grow organically, one order at a time? As I wrote recently on the TradeReady site, inorganic growth offers a number of advantages for US companies considering international expansion. Acquiring a local company, or structuring a JV can be an efficient way to quickly establish a local presence by bolting on relationships, customers, revenue and opportunity. Selecting the right market also opens up regional opportunity (e.g. within Mercosur) and could provide a regional HQ capability to extend throughout other LatAm markets rather than managing that growth from the US. When you hear about M&A you may think of major deals - like Verizon's recent acquisition of Yahoo. No amount of leverage makes that feasible for a $25million US company. However, a Brazilian company that manufacturers a product complimentary to yours could well have been valued at $10million USD 4 years ago. Today, with deterioration in the real/USD exchange rate and decline in enterprise values due to economic and political instability (not to mention reduced EBITDA in the meantime) it might be a fraction of that. With real earnings & profits and a customer base to whom you could immediately sell your product....that might be easily supported. Are there complications? Of course. There's market risk in addition to the risks inherent in any M&A transaction. And international transactions in emerging/developing markets also carry a risk of FCPA successor liability that's important to consider. That doesn't mean it couldn't be a wonderful move for your business. I'm not an investment banker - but I do help companies with global growth strategy, including international market entry & expansion. If you're intrigued by this idea, let's have a conversation. (Just shoot me the form below.) Maybe it's time for you to look at LatAm a bit differently!